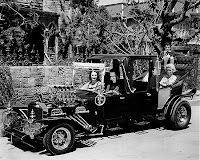 The first motorized hearses appeared in the U.S. in about 1909, although horse-drawn carriages were still preferred. That's a little before my time, and I can’t tell you much about them. So we’ll set the calendar up a few years. 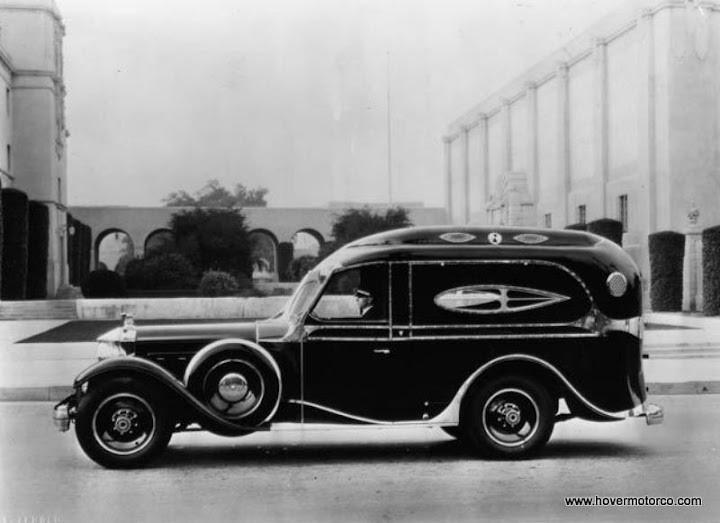 Modern hearses are actually kind of interesting if for no other reason than the way they’re made. I’m sure most of you are aware that Cadillac or Lincoln sells an incomplete vehicle to coachbuilders to convert into a hearse. They’ll be a long wheelbase DTS or Town Car or whatever without a back end on it sitting atop a heavy-duty chassis. 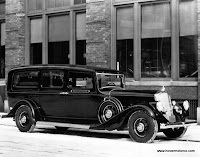 The companies that finish the hearse conversions are some of the same ones that built opulent, custom-built cars for the hyper-rich in the 1920s and ‘30s. 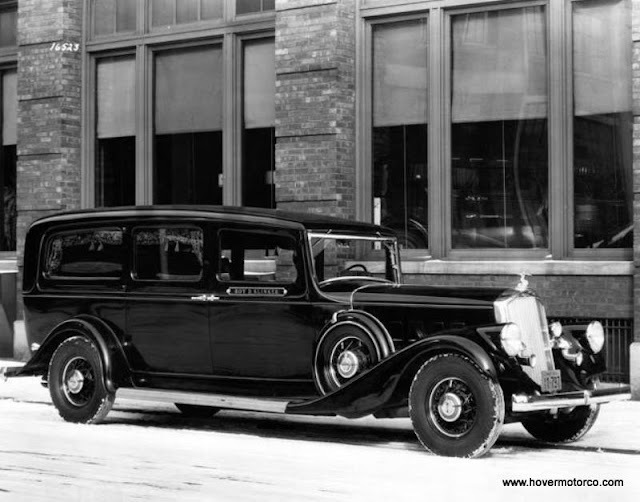 The same company that may have crafted a one-off Packard Town Car for Gary Cooper in 1936 could be the same one that built the hearse at your local funeral home. And the methods used to build these cars are not all that much different today. You still have small staffs of people working and painting sheet metal by hand, and you still end up with a very fancy, very expensive, and very rare vehicle. Hearses are sort of a strange subset to the collector car hobby. On one hand, they’re rare, exclusive vehicles made in the old-world style. Plus, they’re usually in pretty nice shape, because they aren’t typically abused much. But on the other hand, they are kind of creepy, and they take up a lot of room in the garage. Even the nicest one in the world wouldn’t be for everybody. Occasionally, some kook’ll want one, though. NASCAR driver Tony Stewart had an ’84 Cadillac hearse customized by Unique Whips a few years ago, complete with giant stereo speakers where the dead people used to go. They also turn up in movies sometimes. The “ECTO-1” from the Ghostbusters movies was made out of an old Miller-Meteor hearse. 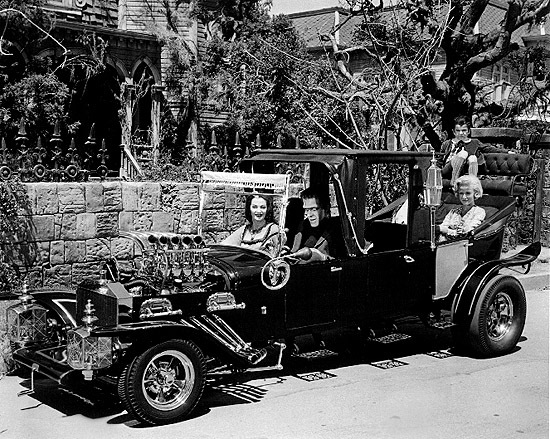 Probably the most famous hearse that wasn’t really a hearse was the Barris-built Munsters Coach, which was basically a giant Model T hot rod that carried the hearse look. 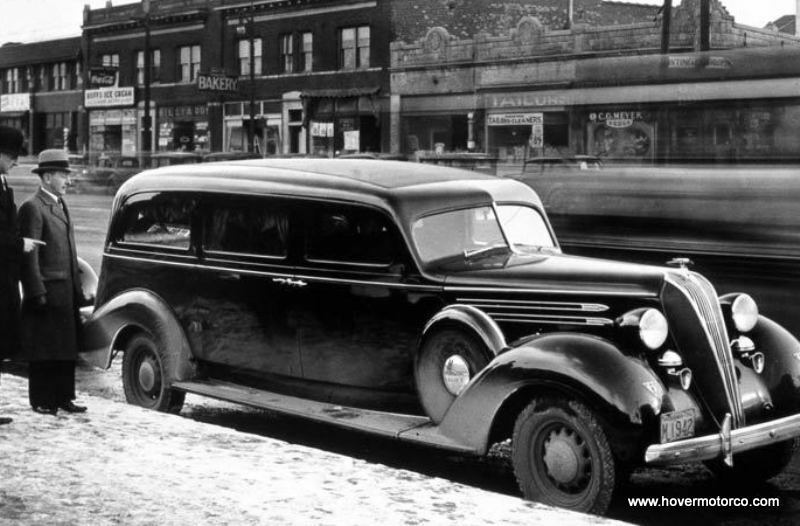 I’ve gathered up a few promotional photos of old hearses, and am including them in the slideshow below. Or click this link for a better version of the slideshow. Trick or treat!